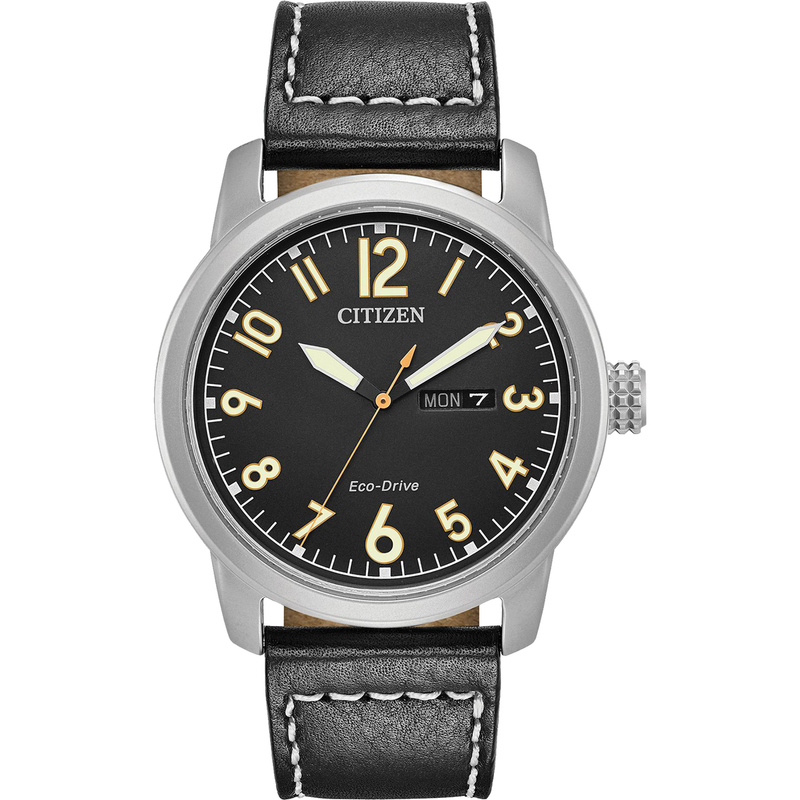 With a rich leather strap, this Citizen military inspired timepiece is polished and comfortable. Chandler, featured here in a stainless steel case, black strap and black dial with contrasting luminous indicies. Added features include day and date.